The Seagulls Are Currently 9/2 To Win! If ever a club has deserved its chance in the Premier League it has to be Brighton & Hove Albion! Known as The Seagulls the clubs fortunes around the late 90's were indeed no better than that of the shite hawk itself. For 2 seasons the club only just avoided relegation to the conference and with things off the field no better than on it it looked like liquidation and the end of the club was inevatble. 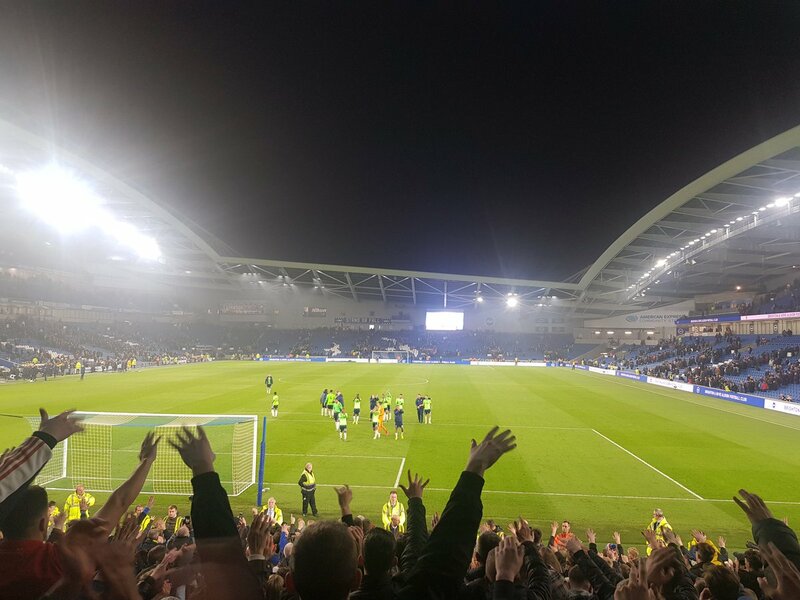 It was only a boardroom takeover that saved Brighton from doom and the fact that the club can now play anywhere near the top level of English football is a huge credit to those that decided to put their money where their mouths were! Playing in the Falmer Stadium (Sponsored by American Express in recent years and known as the American Express Community Stadium) things were not always so dramatic for Brighton. Formed in 1901 it was 1920 before they made it to the Football League proper. Always a steady eddy rather than spectacular club their greatest success came during a consistent spell of top flight football in the early 1980's. The 1983 FA Cup final saw them take Manchester United to a replay before eventually losing. There have been several ups and down since then (noted above) but things really do look to be on a stable footing again for the Seagulls and with some of the best fans in the country even the most synical of supporters would like them to do well. 45'+3' - First Half ended - Wolverhampton Wanderers 0, Brighton and Hove Albion 0. 45'+2' - Missed chance. Dale Stephens - Brighton and Hove Albion - shot with right foot from more than 35 yards is close, but missed to the left. 45'+1' - Diogo Jota - Wolverhampton Wanderers - hits the bar with a shot with left foot from the centre of the box. 45'+1' - Shot blocked. Rúben Neves - Wolverhampton Wanderers - shot with right foot from outside the box is blocked. Assist - Morgan Gibbs-White. 45' - Missed chance. Ryan Bennett - Wolverhampton Wanderers - shot with the head from the centre of the box missed. Assist - João Moutinho with a cross . 39' - Corner - Wolverhampton Wanderers. Conceded by Gaëtan Bong. 37' - Offside - Brighton and Hove Albion. Bruno with a pass, however Solly March is in offside. 33' - Missed chance. Diogo Jota - Wolverhampton Wanderers - shot with right foot from the centre of the box is close, but missed to the left. Assist - Morgan Gibbs-White. 32' - Dale Stephens - Brighton and Hove Albion - receive yellow card for a foul. 32' - Diogo Jota - Wolverhampton Wanderers - won a free kick in defence. 26' - Corner - Wolverhampton Wanderers. Conceded by Gaëtan Bong. 22' - Corner - Wolverhampton Wanderers. Conceded by Bruno. 19' - Diogo Jota - Wolverhampton Wanderers - won a free kick in attack. 18' - Missed chance. Matt Doherty - Wolverhampton Wanderers - shot with right foot from the right side of the box missed. 17' - Corner - Wolverhampton Wanderers. Conceded by Shane Duffy. 16' - Matt Doherty - Wolverhampton Wanderers - won a free kick on the right wing. 12' - Missed chance. Diogo Jota - Wolverhampton Wanderers - shot with right foot from the centre of the box missed. Assist - Morgan Gibbs-White with a cross. 10' - Substitution - Brighton and Hove Albion. Beram Kayal for Davy Pröpper - injury. 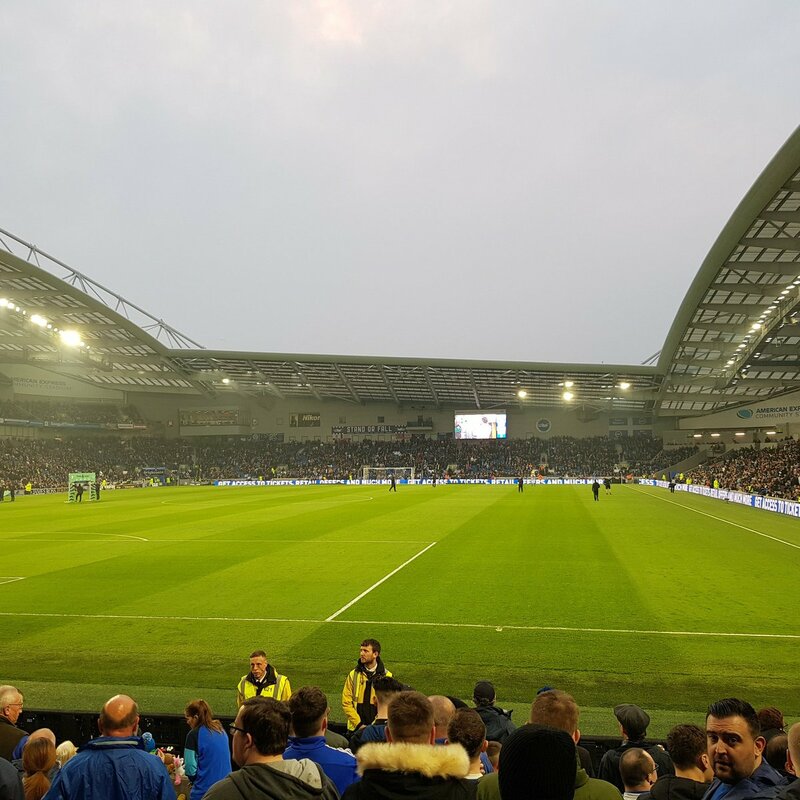 8' - Delay in match Davy Pröpper - Brighton and Hove Albion - - injury. 7' - Corner - Wolverhampton Wanderers. 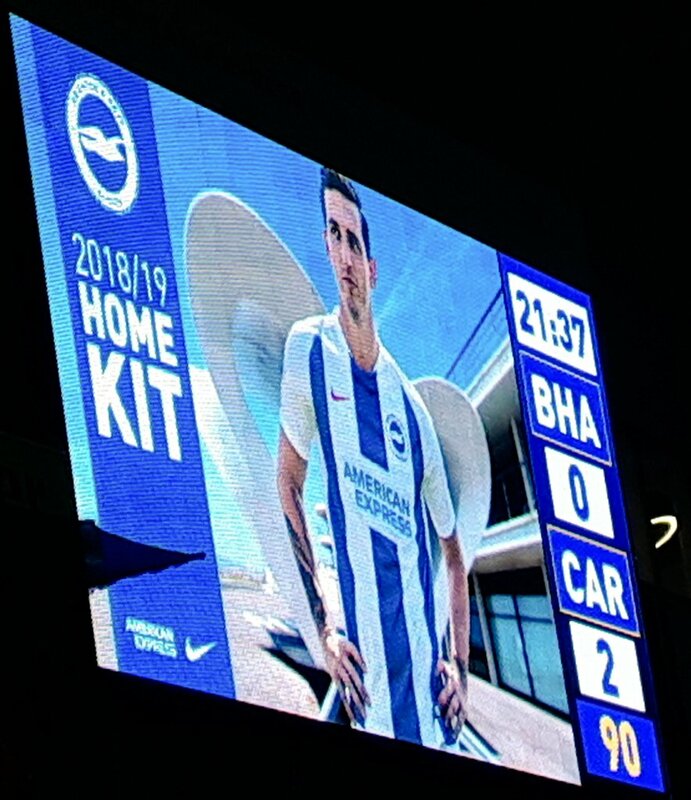 Conceded by Lewis Dunk. 5' - Missed chance. Raúl Jiménez - Wolverhampton Wanderers - shot with the head from the centre of the box is close, but missed. Assist - João Moutinho with a cross after corner. 4' - Corner - Wolverhampton Wanderers. Conceded by Shane Duffy. 2' - Ryan Bennett - Wolverhampton Wanderers - won a free kick in defence.